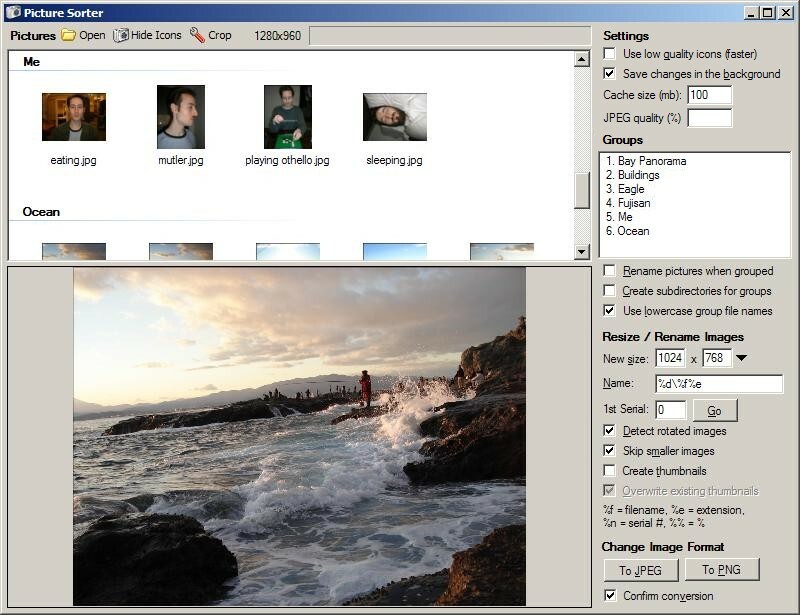 Picture Sorter is a program that makes it easier to rename, rotate, and resize large numbers of pictures, generate thumbnails for them, and convert their image formats. Rename - Quickly rename large numbers of pictures. 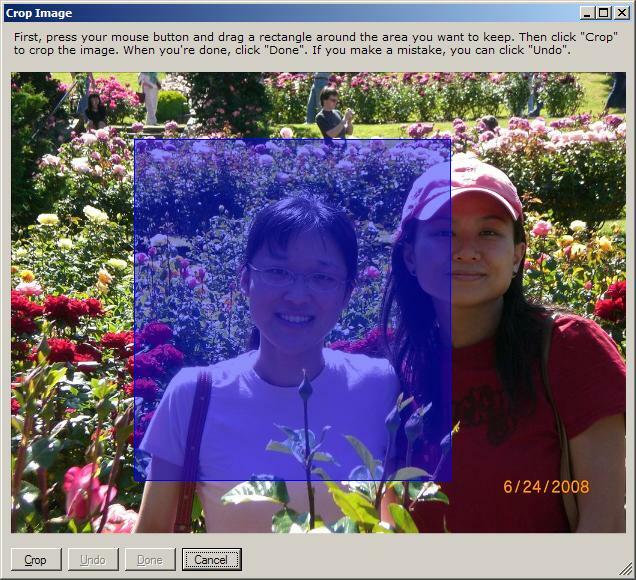 Rotate - Rotate one or more pictures with a single keypress. 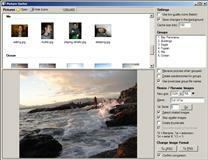 Resize - Resize images quickly and easily, even if the images have been rotated. Thumbnails - Generate thumbnails for images with a flexible naming scheme. Convert - Bulk convert images between formats with a single click. Crop - Easily crop your images. Full documentation is available by pressing F1 from within the program. 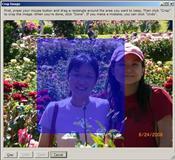 Before running Picture Sorter, you will need to install the Microsoft .NET Framework 2.0, if you don't have it already.